Boating season is well underway and what better time to highlight a shoe from a company known for their great boating and boating-inspired footwear and the very chic Breton stripes (also known as the french or nautical stripe). Of course today's shoe is not a boating shoe but a nautical-inspired wedge. 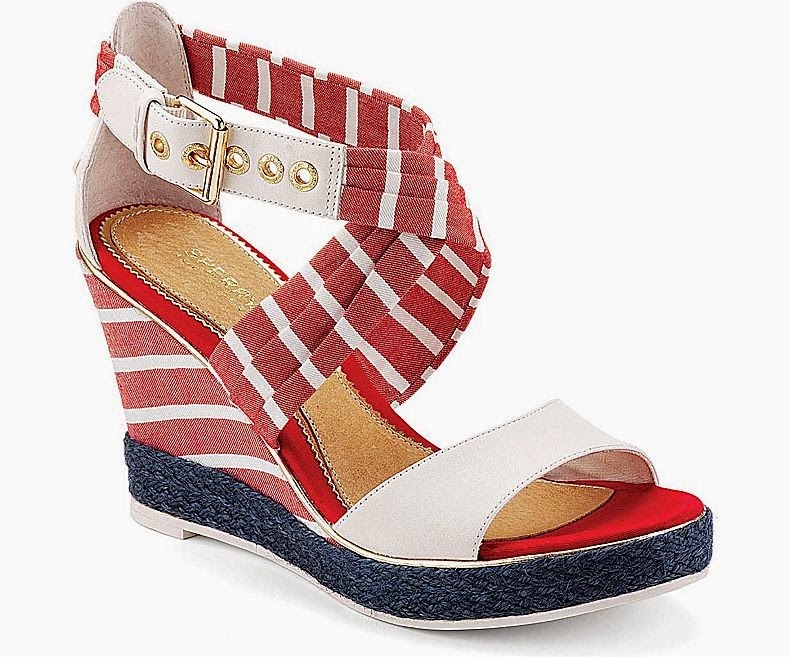 Seen in vibrant red and white (it also comes in navy/white), the Sperry Top-Sider Aurora Wrap Wedge features the on-trend stripes on a canvas and leather upper, jute trim, gold or silver hardware accents on the ankle straps, and a very comfortable 3 1/2" heel with a 3/4" platform. The best part, this darling is on sale for $79.99 (down from $118.00) on the Sperry Top-Sider website.